Join us May 6-10, 2019 for Innovation Week ATX. Celebrate entrepreneurship in style with over 30 engaging panels, interactive workshops, and thought-provoking sessions designed to help you grow your business. Full agenda below – click on the dates to access session information. In this session, we’ll examine the relationship between money and values, and how your financial habits can influence (or impede) your goals. A Money Coach will offer guidance on managing your finances so that you spend and save your money in ways that feel purposeful—and in line with what you care about most. There are many elements to take into consideration when starting a new business. Let’s analyze together the basic Do’s and Don’ts you need to be aware of: You DO need cash to start your business. You DO need to quit your current job … or NOT? You DON’T need a partner … or DO you? Join us for an interactive discussion on Do’s and Don’ts. Julio is the Managing Director at NopaNoga, a company guiding startups and small/medium size business to improve their operations and maximize its profits; acting as chief operating officer on demand and helping European startups set up/expand operations in the US. True scalability in business allows for expansion and revenue growth while minimizing increases in operational costs. Even if you’re not ready to grow right now, there are things you can do to set yourself up for scalable growth and success. Corina Frankie is in the business of creating human connections. Her company, Brand Besties, is a nationwide event staffing agency specializing in face-to-face, interactive campaigns for high impact brands and initiatives; almost all of the value she provides her clients focuses on interacting with targeted swaths of the general public. As the CEO and creator of Brand Besties, she has built a national platform for creating strategic brand engagement programs for some of the world’s most iconic category leaders and new stars on the rise. In addition to her legacy of launching brands, products and building new partnerships, Corina is a Certified Mindset Coach, EOS (Entrepreneurial Operating System) Implementor, and NLP Practitioner. Are you looking for a mentor? Would you like to become a mentor? On Monday, May 6th from 12:00-1:00 PM in Austin and Houston, we will be offering Mentor Speed Dating & Networking. This event will allow mentors to network, as well as meet entrepreneurs who are looking for mentors with all areas of expertise. Lunch will be provided, and colleagues are welcome. How to Set your Business up for Profit, FIRST. Owner of a local plumbing company and Certified Profit First Financial Coach, Deborah now helps other scale-oriented women entrepreneurs manage their money and keep more of what they make! Using the financial model Deborah has used in her own company and implemented in other local businesses, she will teach you “How to Set your Business up for Profit, FIRST.” Based on the book, Profit First, Deborah will teach you how to use this system in your business no matter what stage you are in, so that you can get organized with your money, pay yourself, take a profit and transform your cash-eating business into a profitable company. How many times have you tried to make a big idea happen and failed? Mission to Million$ by Elizabeth Frisch has captured over 20 years of experience in making the impossible with everyone from global Fortune 500 companies and government agencies to the U.S. Military and nonprofit organizations in one book. In this fun, fast-paced session, Elizabeth will provide 8 practices to ensure your avoid the 99.9% and become part of the select and successful 0.1% around your big idea! BizAid Business Orientation provides a general overview of opening a small business or re-evaluating an existing business during its growth. In this session, you will be informed of key questions to consider when developing your business and resources to take you to the next level. After you take this class, you become eligible for 6 hours of free business coaching with PeopleFund. This workshop will discuss common legal concerns for new and growing businesses including protecting your confidential information, bringing on new employees, and ensuring your contracts are effective and enforceable. We’ll also discuss how to prioritize your legal budget based on your size, industry, and growth goals. Small business owners have to wear a lot of hats. This workshop focuses on best practices critical when hiring, retaining, and managing an effective workforce, while straying in compliance with the myriad of Human Resources regulations. Practical checklists and resources will be provided. In this workshop, we will consider ideas relating to what it means to be a positive and effective leader. An introduction in how to use Instagram for your business, and why you NEED to be using this social media platform. You’ll learn how to convert your Instagram profile into a business profile, and you’ll learn about how to create visual content, how to create a calendar, and how to develop captions that fit your brand. You’ll need all three of these things and more to create a great Instagram feed along with helpful tips toward hashtag and general business strategy for using Instagram to drive engagement with your brand. Many people think that Instagram will never work for THEIR business. This course will introduce you into new ideas on how you CAN implement this social media platform into your brand. It’s easy to get swept up in all the bells and whistles being offered to small businesses these days, but there are plenty of things that you can do (for free!) to better your visibility and engagement with your audience. We will discuss business identity, and work together to build out the foundations of your brand. We will also review how to maximize your brand impact on social media, as well as on your website (SEO). This course is great for all experience levels, from the “just getting started”, to “been doing it for decades”. Come curious and ready to dig deep into who you are as a business. To have a career in music, it’s crucial to know the basics of song ownership, booking, promoting, and networking. Learn the tools musicians have used to start and maintain a band and a brand. This course is specific to musicians, songwriters, and anyone interested in working in the music industry. Join us for a hands-on workshop designed to help you pause, reflect and re-imagine the connection between your passion and intent in the world, and your work. The Un.Inc is a wholehearted and visionary company, born from pain. We design and deliver products, self-guided programs, events, intentional spaces and housing for changemakers. Our passion is empowering women, people of color and members of the LGBTQ+ community who are intentional about the impact they want to make through for-profit ventures. Is Imposter Syndrome Limiting Your Company’s Growth? Ivy Le, Connector, Communicator, Change Agent, "FOGO: Fear of Going Outside"
Do you ever feel like you’re not ready for success, even when you’ve been succeeding? Are you ever afraid that if something isn’t perfect – or worse, you fail – everyone will find out you were never supposed to be the boss? This is called “imposter syndrome,” and it may be affecting the decisions you allow yourself to make to grow your business. In this workshop, we’ll talk about how common it is – particularly among women and people of color – and how to recognize it and keep it from limiting you in life and entrepreneurship. Ivy Le is a Vietnamese-American marketer, mom, and immigration activist based in Austin, Texas. She ran her own award-winning social media agency for five years and holds an MBA from the University of Texas. Her podcast-in-development “FOGO: Fear of Going Outside,” a nature show with the most reluctant host ever, was selected to be one of the 10 out of 18,000 applicants to attend Spotify’s first SoundUp Bootcamp for aspiring women of color podcasters. Brands come and go. But the brands that change the world seem to live on, grow and evolve. What’s their secret? Well, there are actually three! In this inspirational and interactive presentation, brand strategist and author Justin Foster shares his insights on how world-changing brands challenge orthodoxies, speak to an unspoken need and use their brands as platforms for social change. Whether you are a solo brand, a small business owner or a corporate leader, learning these three secrets will update your thinking on branding, re-connect you to your mission and create a clear path forward for your brand. Entrepreneurs and Business Owners will leave the presentation with a crystal clear, deeply personal statement that they can check in with continually as they make aligned decisions about their brand and their business. Soul’s Purpose puts participants in touch with what they most love about their unique selves, incorporating spirituality and faith of all backgrounds, so that their branding resonates most directly with the needs of those they serve. If you’re not online, you don’t exist. In this presentation, you will learn a variety of ways to create website that will wow your customers and drive new business. You will also learn what comes after you’ve finished your website – marketing your products and/or services digitally, through social media, SEO, and paid advertising. There are 1 Billion people active on Facebook and now 100 million people on Instagram. With so much opportunity on social media, why are so many small businesses failing at converting their social media audience into customers. The Social Media Machine is not just about social media – it’s about your content, your website, and how you manage your marketing and brand online. In this program, we’ll discuss the different components of the social media machine and how your set-up yourself up for success. You’ll leave motivated to start on your online marketing strategy knowing that social media is only a small part of a larger plan. Jessica Scanlon is the CEO and founder of Hot Dog Marketing, a branding and digital marketing agency headquartered in Round Rock, TX. Jessica started Hot Dog Marketing six years ago hoping to provide a comprehensive solution to growing business’s marketing needs. Now, Hot Dog Marketing is one of Austin’s Top 25 Digital Agencies according to Austin Business Journal and a top-rated agency according to Expertise.com and ThreeBestRated.com. 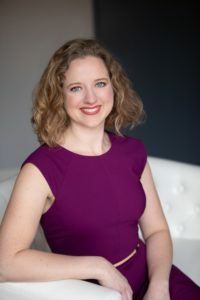 This year, Jessica is a finalist for the Austin Under 40 Awards in the marketing category for the second year in a row. She serves on the Round Rock Chamber’s board of directors and is board president for Texas Humane Heroes. Learn how to use Facebook ads and geo-targeting to maximize reach and gain new customers. About Bill: Bill Combes is a seasoned Senior Executive and Board Member with more than 25 years of success across the healthcare, finance, and roofing and construction industries. Leveraging extensive experience in social media marketing and strategic planning and implementation for companies, he is an asset for established businesses looking for new marketing strategies for optimal growth without over-extending the budget. His broad areas of expertise include social media management and marketing, operation management, strategic planning, and finances. Throughout his executive career, Bill has held leadership positions at companies including The Catalyst Group, The Profit Mover Advisory Team™, United Association of Storm Restoration Contractors, and TG. Currently, he is the President of No Time For Social which he has been growing since 2012. Bill has had tremendous success over the years and has served as a key contributor to the achievements of the organizations he’s worked with. He has been responsible for creating a Facebook campaign that cost a company $10k and brought in $800k in revenue. Bill has also helped a company save significant money by hiring outside marketing services instead of a CMO, which ultimately generated millions of dollars in revenue. Additionally, he grew AnythingWeather from $300k in revenue to more than $3.2M in four years. Mark & Shannon are the world’s leading authority on the business of speaking helping their clients speak so effectively they’re asked to speak on some of the world’s most coveted stages like Tony Robbins, Brendon Burchard, The View, Anderson Cooper & Good Morning America. Using their “Speak Your Path to Cash” System their clients have generated almost $20Million dollars in revenue for their own businesses. • Use Public Speaking to Attract a Flood of High Paying Clients… FAST! In this workshop, you will receive worksheets and training on how to build a proper custom pipeline for your business and discover how to have an authentic conversation with potential customers to close deals. We all have dreams and goals–but not all of us turn them into a reality. What’s the difference between those who self-sabotage and those who achieve success? Mindset: beliefs, values and attitude. In this workshop, we’ll talk about the most common blockages that come up around goal-setting, and how to overcome them to unleash your inner badass. Top 5 Unspoken Barriers To Success: How Optimizing Vitality Reflects In Leadership. Leadership often requires you to put your needs on the shelf for the benefit of the organization, team, your family, or any other number of things you deem more important than your own needs in the moment. In this workshop, we will stop normalizing the neglect and/or progression of your symptoms. Fatigue, body pain, digestive disorders, inability to lose weight, toxic thought patterns – everything has a root cause and all can be managed. When your needs are met, vitality radiates and you become a magnet for desirable outcomes. Knowledge becomes power when coupled with inspired action. You will walk away with actionable takeaways to improve your sense of fulfillment, boost energy, and help you stand out as an effective, graceful leader. You are out networking, in a social setting or waiting in line and you’re asked – “What do you do?” What do you say? This is commonly referred to as elevator pitch. Do you know how to start the conversation – and create the outcome you desire? Your success depends on how well you communicate and present yourself, your message and your passion. It takes seven seconds or less to make a first impression. That means people decide whether you are credible, competent and authentic all in the first few moments you speak. Most of us take the wrong approach to this short yet influential message. It is time to stop pitching and start connecting. Real connections start with authentic communication. When you make a real connection, you can make a real difference. Change your conversations and you will change your results. This presentation will cover all the essentials to create an elevator pitch that will get results! LeAnn Pashina is a National Speaker, Trainer, Sales person and Professional Voice Over Artist. With over 30+ years’ experience in “record-topping” sales, entrepreneurs and businesses hire her to train them how to accurately predict the buying behavior of their clients to skyrocket sales. Her secret weapon is coaching clients to use their voice to build, deliver, and close their perfect presentation. It’s not only what you say, but how you say it that impacts the bottom line. Exceptional communication skills accelerate trust, build instant rapport, and positively influence decision-making behavior. LeAnn can be reached by going to her website www.creativelycommunicate.com. Leadership at Every Stage | Increase your influence. Expand your reach. Manage Up. No matter what role you have, industry you serve, or business you are in, there will be a time when you need to manage up. This isn’t about schmoozing. This isn’t about agreeing with your boss no matter what. It’s about developing the skills to read the room, understand your boss’s strengths and weaknesses and using your own skills to complement your boss and achieve the organization’s goals. Whether you are seeking funding for a new business idea, working for a start-up, or leveraging your skills at a well-established organization, it is likely you will have an opportunity to manage up. Managing up can even apply to your clients, customers, patients, and constituents. And you don’t have to manage people to manage up. In fact, you can use these same skills to influence your peers, subordinates, clients, and project team members. What would your life, career, or business look like if you were more intentional about building new skills at every stage of your leadership journey? I truly hope you will join me for this one-hour interactive and practical workshop. You will leave the workshop with a toolkit and practical skills you can start using today! Stacy McCracken is the Director of the Baylor Executive MBA Program in Austin. She is also an executive coach and the founder of a business consulting and personal growth company called Impact and Lead. Stacy has spent more than 20 years developing leaders and building a professional network around the world. Since 1992, Stacy has served people working in a variety of industries including non-profits, high-tech, automotive, manufacturing, and higher education. Her inquisitive nature, love of people, and listening skills allow her to rapidly build trust with people. Stacy advises out of genuine concern, inspires possibility, and brings a calm presence to even the most stressful situations. Stacy truly believes – one person and one action can make a REAL difference. Jill Dretzka built her dream business in 9 months. From a business plan, to location scouting and new hires learn the step by step process to get your idea off a piece of paper and into the real world. Work & Woof is Austin’s FIRST Indoor/Outdoor Dog Park AND Coworking Space! It is all about the dogs at Work & Woof, our motto is “You work, they play!”. Does your business need customers? What about employees, investors, or corporate partners? To convince these key stakeholders to invest their time and money in your business, you need to be able to effectively communicate what your business does. You need to be able to effectively pitch. Jamie Catanach is a Venture Associate at Capital Factory, the center of gravity for entrepreneurs and the most active investor in Texas startups since 2013. He spends most days getting pitched by tech startups and will walk you through the key elements of an effective pitch, and how to successfully deliver it. Digital Marketing for Leads .. Turn your Facebook habit into $$$! The success of every company lies in its customer base. As a small business owner, you have to wear a lot of hats, and you’ll often find yourself wearing the marketing hat. Whether you handle all your own marketing, or you have a team, you want to make sure that your approach is as up to date as possible. Many businesses underestimate the value (or are simply not aware) of the range of tools and methods out there that can be used to create quick, meaningful growth. This workshop will help you improve your ability to generate excellent content to attract target customers, understand what impact your marketing activities are having on your business and optimize your digital marketing strategy for maximum effectiveness and growth. This workshop is aimed at beginner marketers as well as small business owners looking to acquire new customers while also engaging their current customer base. Rooted in examples, you’ll walk away with plenty of hands-on experience in content creation for both email and social, campaign analysis tools, and optimization across various channels including your own website. Takeaways: Identify and reach your audience, Analyze a variety of digital marketing tools (websites, emails, social platforms) and effective uses, Create a strategy by setting goals and reviewing analytics. Participants of this workshop have the chance to win a $25 gift card! This workshop will cover a basic groundwork of how to open and organize your business finances. We’ll cover things like the difference between a sole proprietorship and an LLC, saving for retirement as a business owner, and how to organize your money for maximum efficiency. 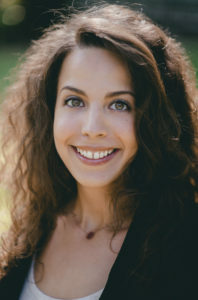 Kara Perez is the founder and CEO of Bravely, a financial literacy community and event company. You can find Bravely at bravelygo.co, or attend one of our events in Austin TX each month. In this workshop, Judy will go through the process of choosing an entity type for your business, which is a complex decision with profound ramifications. The choice of entity type affects self-employment tax, taxation of dividends, and the tax-destructibility of healthcare and retirement plans. About Judy: Judy has been representing individuals and small business owners for 30 years providing valuable legal advice on a range of matters including business entity formation, contracts, start-up compliance issues, franchises, buy/sell agreements, commercial and residential real estate purchases and leases, as well as international and domestic estate planning. Building something of value from the ground up requires discipline and hard work, make the most of your opportunities to plan and execute your roadmap for success. of marketing analytics for business. Prior experience includes creating big data analytics offerings as Vice President of Client Accounts at Sprinklr, founding and leading a digital analytics practice as Vice President and Head of Global Digital Analytics at Hill+Knowlton Strategies and serving as policy lead on targeted advertising at Dell, Inc. Christa also teaches a Business Analytics Boot Camp as part of the Business Management Certificate Program at The University of Texas at Austin. Leadership roles include a rotation as Eben Tisdale Public Policy Fellow at the Information Technology Association of America in Washington, D.C., contributing as a member of the Barbara Jordan National Forum, heading the TNOYS Leadership Conference Steering Committee and serving as Director and Chair on the Texas Network of Youth Services board. Learn about the newest methods in search engine optimization and content creation, why it’s important to make this transition, and how to make search intelligence a part of each step in your content creation and marketing process. See how providing value across the buyer’s journey results in more leads and greater customer loyalty. Are you debating on using QuickBooks for accounting for your small business? Want to learn more about the software from professionals? Bill Grosskopf will provide an introductory workshop to the interface. This workshop will introduce QuickBooks interfaces for both desktop and online versions and demonstrate setting up the chart of accounts. Our goal is to prepare you for free, one-on-one sessions with a SCORE mentor to help you set up your company in QuickBooks, begin the data entry process, and generate the reports to aid tax preparation and for monitoring the financial status of your business. Building your own business is a lot of work. And one of the scariest things about being self-employed is the idea that saving for retirement is all on you. What are your options? And how do you choose? This session will cover the three most common small business retirement plans and the pros and cons of each. Kacie Swartz, CFP®, CIMA® is Senior Financial Advisor at Stone Asset Management, a small financial planning and investment firm founded in 2004 here in Austin. (www.stoneasset.com) Kacie specializes in working with professionals who are planning their next steps into entrepreneurship. She speaks frequently to promote financial literacy and is a spokesperson for the CFP® board’s mission to attract more women to the financial planning profession. To close Innovation Week, we will be hosting a Banker Happy Hour on Friday, May 10th from 4:00-6:00 PM. Come network, snack, and meet members from Austin’s financial sector! All are welcome. Which Monday sessions will you attend? 9-10 AM Your money. Your values. 1-2 PM How to Set your Business up for Profit, FIRST. Which Tuesday sessions will you attend? 4-5 PM Is Imposter Syndrome Limiting Your Company’s Growth? Which Wednesday sessions will you attend? Which Thursday sessions will you attend? 11-12 PM Top 5 Unspoken Barriers To Success: How Optimizing Vitality Reflects In Leadership. 1-2 PM Leadership at Every Stage | Increase your influence. Expand your reach. Manage Up. 4-5 PM Digital Marketing for Leads .. Turn your Facebook habit into $$$! Which Friday sessions will you attend? Monday 9-10 AM Your money. Your values. Monday 1-2PM How to Set your Business up for Profit, FIRST. Tuesday 4-5PM Is Imposter Syndrome Limiting Your Company’s Growth? Thursday 11-12PM Top 5 Unspoken Barriers To Success: How Optimizing Vitality Reflects In Leadership. Thursday 1-2PM Leadership at Every Stage | Increase your influence. Expand your reach. Manage Up. Thursday 4-5PM Digital Marketing for Leads .. Turn your Facebook habit into $$$!